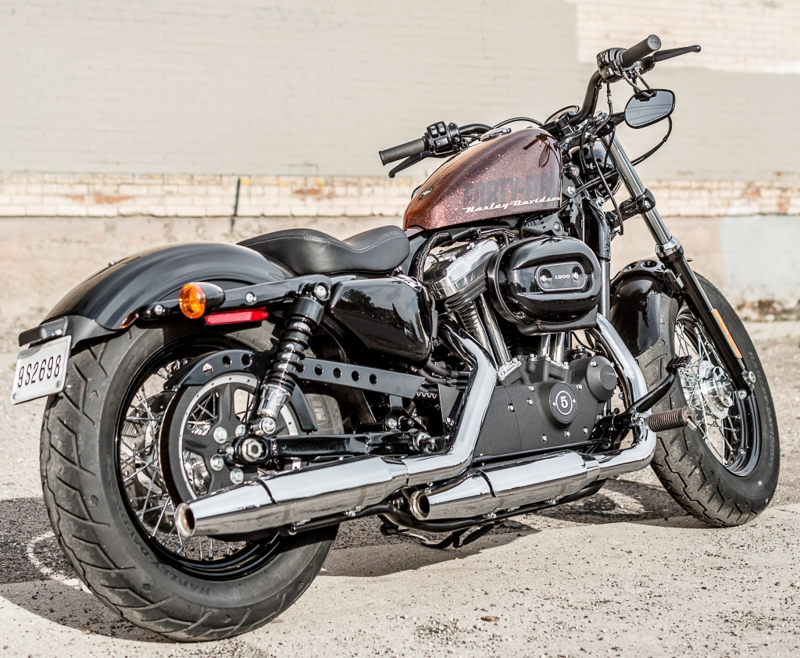 Part of Harley’s entry-level Sportster range, the 2014 XL1200X Forty-Eight is characterized by super-clean, pared-down looks, extra-low riding height and a rather large engine for a relatively small bike. 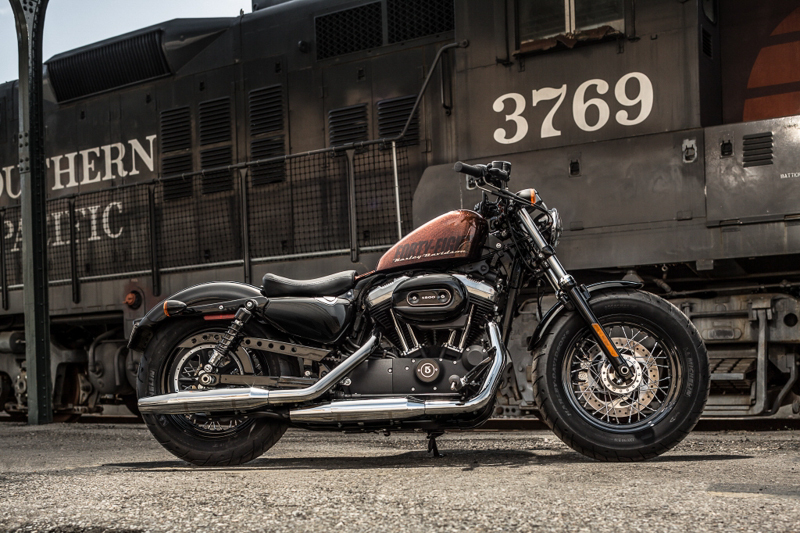 The name derives from the distinctive peanut tank, first used by Harley in 1948. 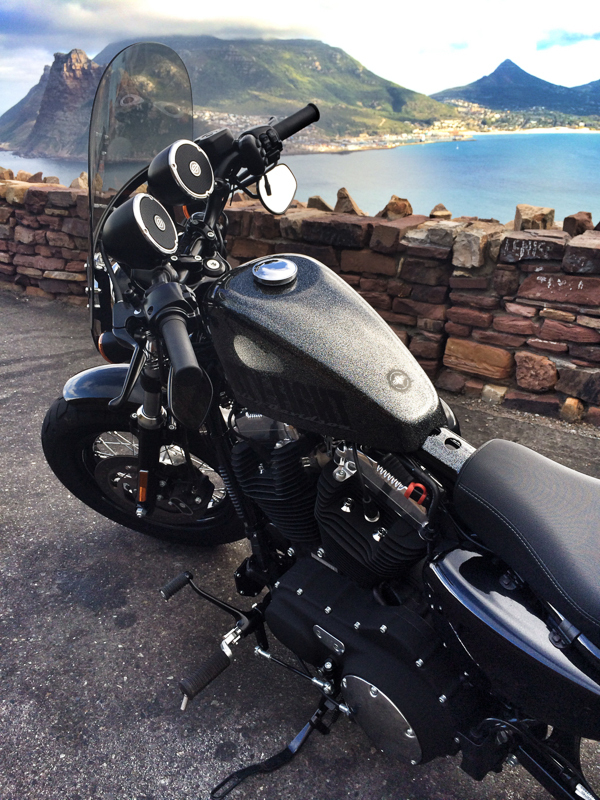 An air-cooled 1202cc engine, the Evolution was first developed back in 1984 and is credited as the engine that saved Harley’s financial bacon. 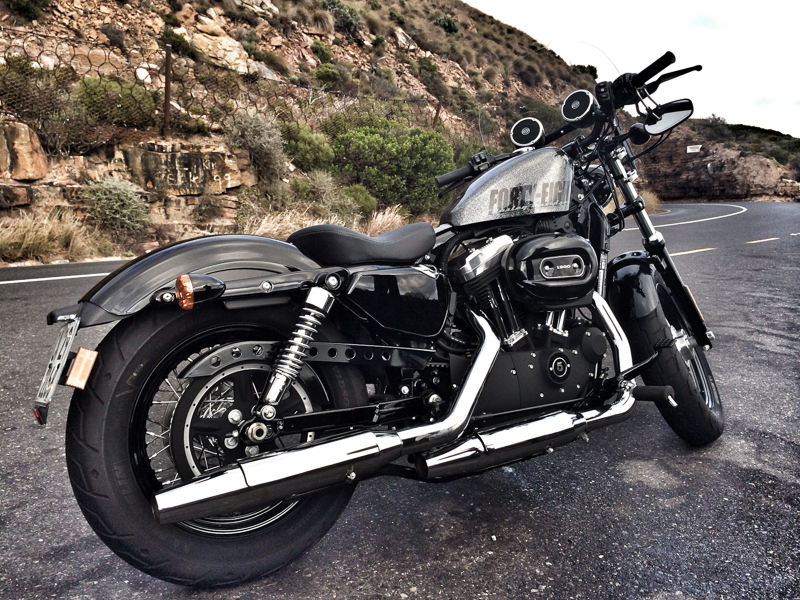 Its aluminium heads and cylinders are meant to lighten the bike and assist with cooling. 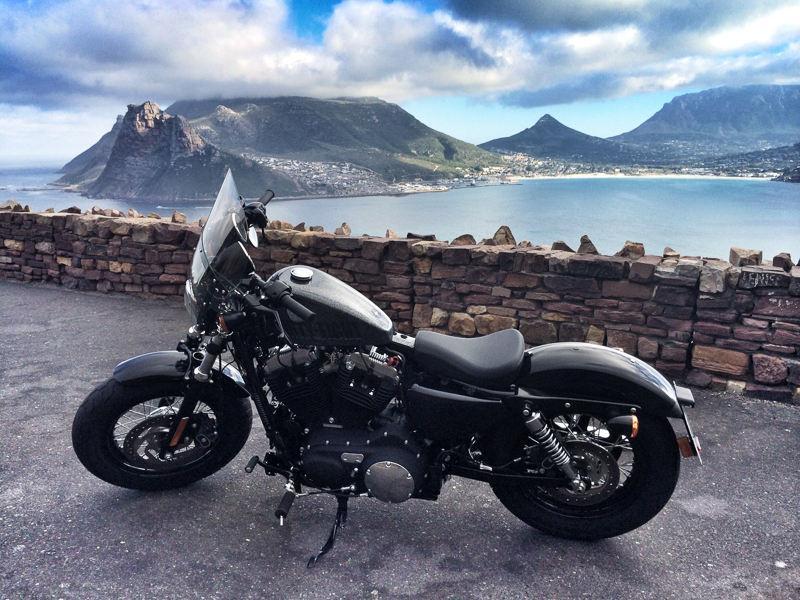 These days, the Evos fitted on Harley’s Sportsters have electronic fuel injection instead of carburetors. 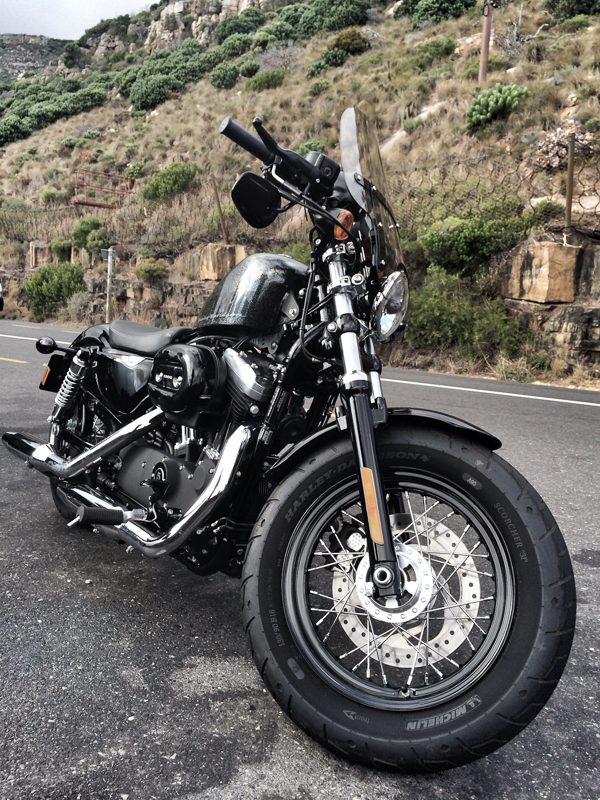 Harley’s Evo apparently has an almost legendary reputation for reliability and the ability to be ridden hard for many kilometres. On the downside, the arrangement of the cooling fins mean your right leg gets braaied, which might be a good thing in winter, but is not as much fun when it’s hot. Final drive is chain with a 38/57 ratio. 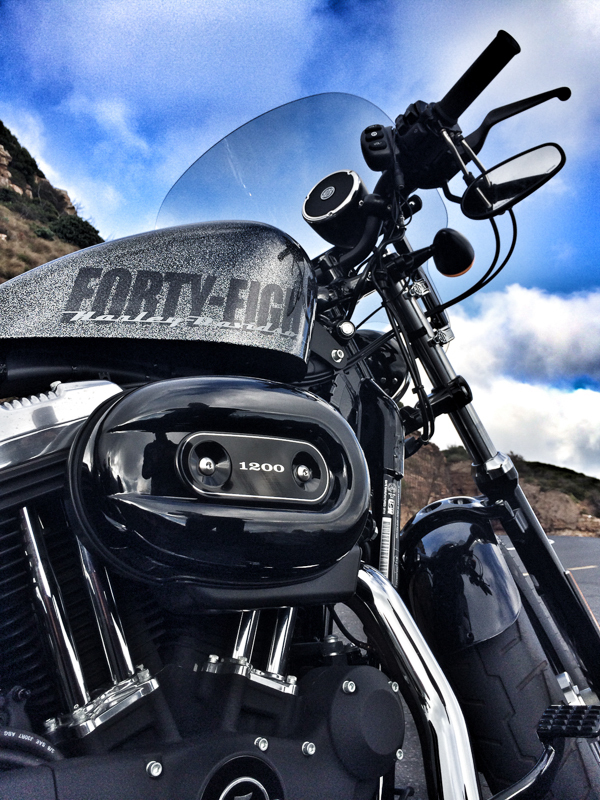 With a seat height of only 71cm, the Forty-Eight is a godsend for women and not-entirely-tall men. It is rather heavy, at 245kg, but is superbly balanced, making it manageable for pretty much anyone and easy to handle at low speeds. 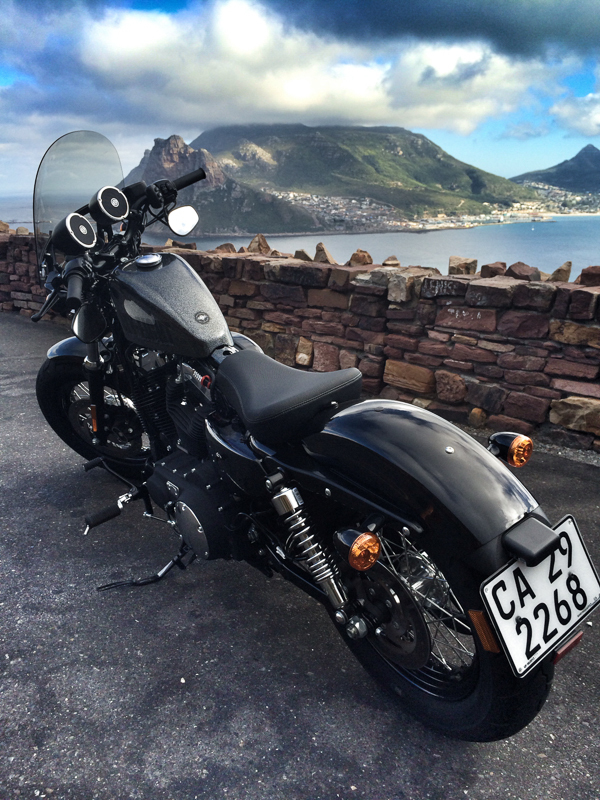 The peanut tank is certainly distinctive, particularly in the sparkly Hard Candy Custom™ paint finish, although at only 7.9 litres, it’s really on the small side, with a range of around 120km limiting the bike mainly to city riding. Speaking of the Hard Candy paint (which reminds me of my favourite glitter nail polish) it’s interesting to note that this option – applied to the tank only – adds a cool R5,500 to the price tag. Also worth mentioning style-wise are the extra fat front tyre and the slammed handlebars. 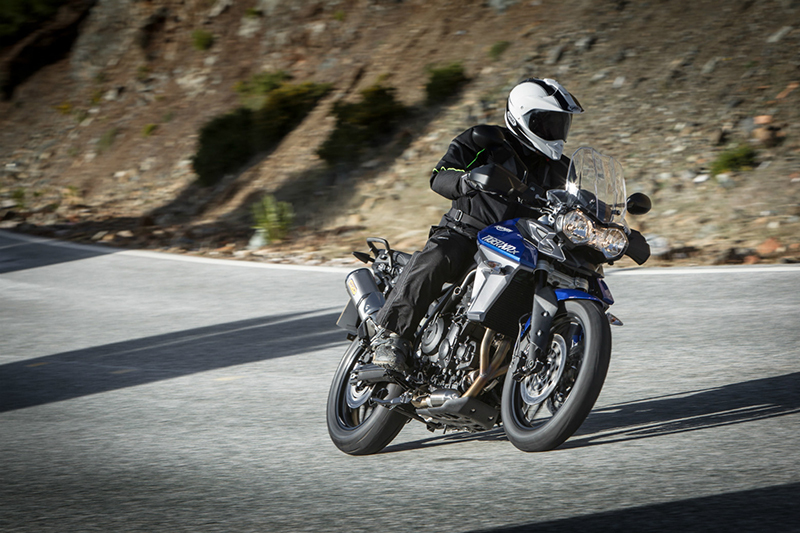 The under-mounted motorcycle mirrors add to the clean profile, although they do take some getting used to when riding. The braking system has been given a complete overhaul with larger discs and ABS as standard. Less essential but nice-to-have features are a keyless start and automatic security, as well as self-cancelling turn signals (although these only seemed to work after very definite turns). 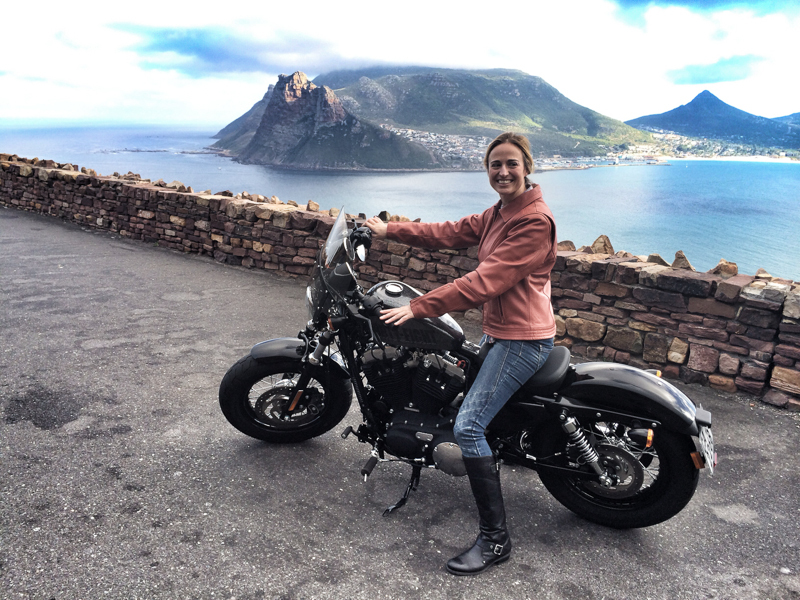 Harley says the controls are suitable for all hands but, as a woman, I found it tough to reach the right turn signal without accidentally revving the throttle. Some riders will appreciate the new speedo, which includes a gear indicator (for when you aren’t 100% sure) and a tachometer. While the 1202cc Evo delivers plenty of power, it was sometimes difficult to know which gear to use. I expected to be able to cruise in 3rd gear at speeds over 40km/h, but the engine made it clear with very jerky, tractor-like performance that it wanted fairly high revs, necessitating lots of dropping down to second gear. At higher speeds, there were no issues and the bike cruised happily at the highway speed limit. 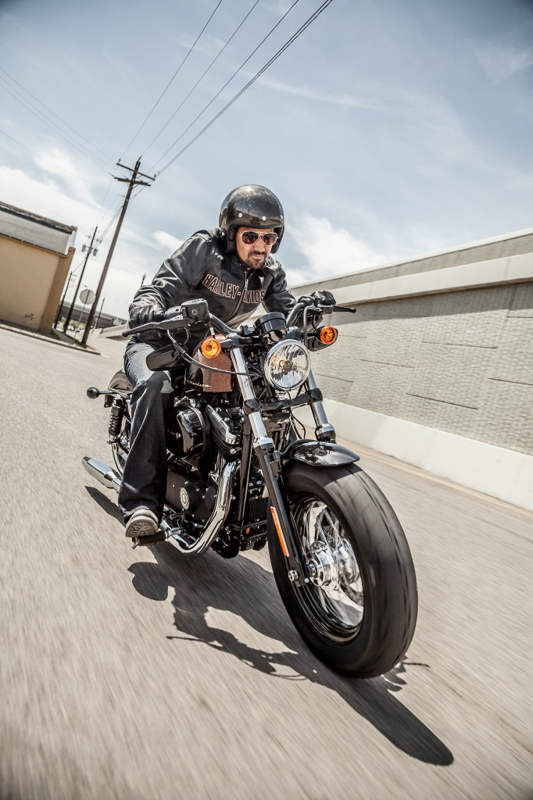 Harley’s Forty-Eight is surprisingly easy to ride – suitable even for beginners – while offering plenty of smoothly-delivered power should you call on it, without any sign of twitchiness. On the only occasion I needed to brake sharply, the ABS delivered seamless stopping power, enhancing the sense of control and stability the 48 creates. This is a bike for relaxed, easy-going riding, made for enjoying views, tootling through town and soaking up admiration, rather than devouring the freeway or screaming through mountain passes. 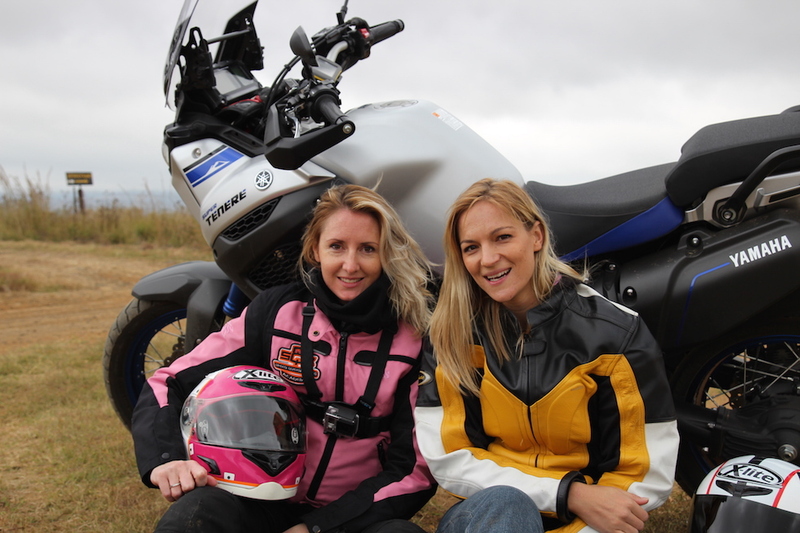 Although the riding position is comfortable enough (apart from necessitating complex balancing acts on hill starts, thanks to the forward-mounted foot pegs) the relatively hard suspension does mean that you don’t regret the fact that the tank is so small, as it gives you a good excuse to keep your rides on the short side. Likes: The low riding height, the excellent stability, the sheer glory of the styling. Disklikes: Worrying about whether I’d scrape the footpegs going round corners, having to smell my armpits to check the mirrors / doing balancing acts on hill-starts thanks to the forward-mounted footpegs. 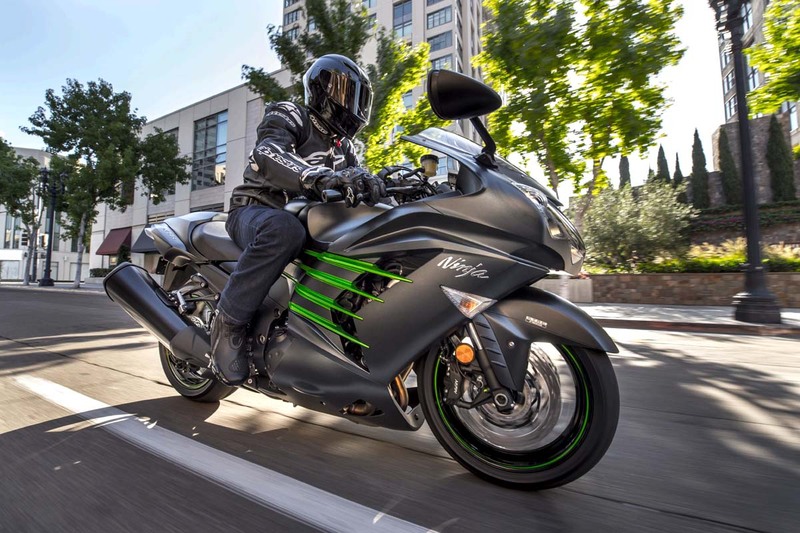 Warranty and servicing Each new bike comes with a two-year warranty. Service and maintenance plans can be arranged with various dealers. Road side assistance is included in the purchase of new bikes for two years.